I love eating fish. It has to be my favorite choice of 'meat' , and so when Australia’s food brand Pacific West launched its Fish Fry Day campaign, I was very excited. 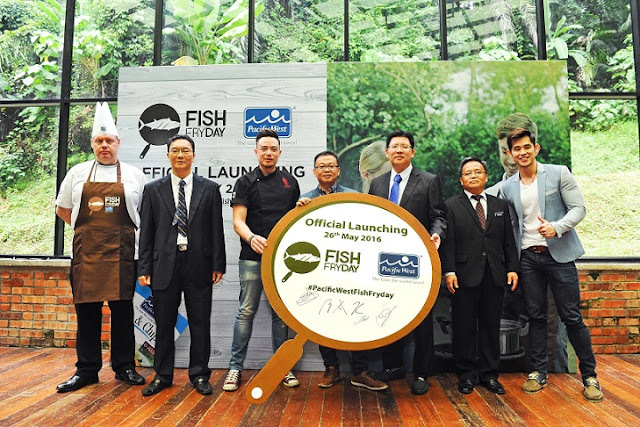 This campaign will run through the months of June to July 2016 with the main objective in create awareness amongst Malaysians on the benefits of eating fish at least two to three times a week (huh?? two or three times a week only?? Not enough.. for me, in my opinion... hehhe) as well as introduce Pacific West’s wide range of value-added fish products to customers. An Infofish study in 2014 reveals that Malaysians are among the world’s top fish consumers, eating at least 56.5kg of fish per person each year. This statistics is way above the world average of below 20kg per capita, and is even slightly ahead of Japan. This is great news and indicates is that Malaysians are probably quite well informed of the goodness of a fish-rich diet, which can actually benefit one’s total health and well being. The Fish Fry Day campaign is a corporate effort to continually remind Malaysians of this good habit where we consume fish on a regular basis for better health, Mr. Saw Lip Teik (蘇立澤), Director of Pacific West Malaysia said. Pacific West has published a recipe book collection by celebrity chefs such as legendary Australian TV personality Peter Russell Clark; Astro TV presenter, Yum Yum Publications owner and author of several recipe books Agnes Chang; South Africa’s Pinnacle Chef and esteemed judge of the World Association of Cooks’ Societies Garth Stroebel; Chef Zam and Bryan Ong, as well as Pacific West chefs like Garry Edson, Mario Bruno, Neil Cane, James Semple and MC Leong. 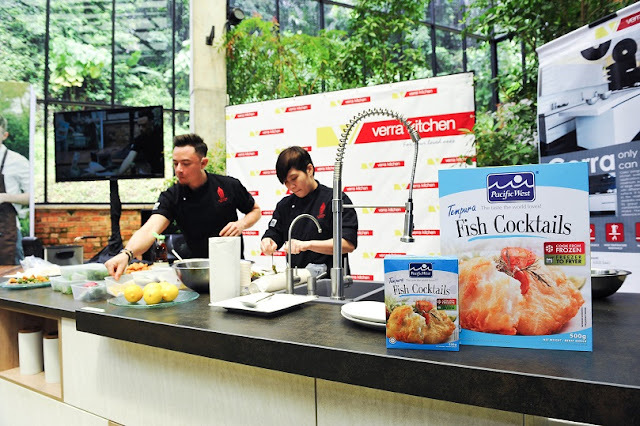 The chefs have developed their own recipes using fish as the main ingredient with easy-to-follow steps. Printed copies of the recipe book will be distributed during Pacific West’s nationwide roadshows at retail stores from June to July 2016 and as a complimentary collection with selected publications. Aside from the book, these recipes and many more will be available online via Pacific West’s website www.pacificwestfoods.com, Facebook page, and YouTube (Pacific West) for viewing and downloading. In conjunction with the Fish Fry Day campaign, Pacific West will also be sponsoring a full-year’s supply of Pacific West value-added fish worth RM60,000 to three orphanage homes – Children’s Protection Society (CPS) and Shan’s Children Home in Penang, and House of Joy in Kuala Lumpur. as a part of its corporate social responsibility effort. 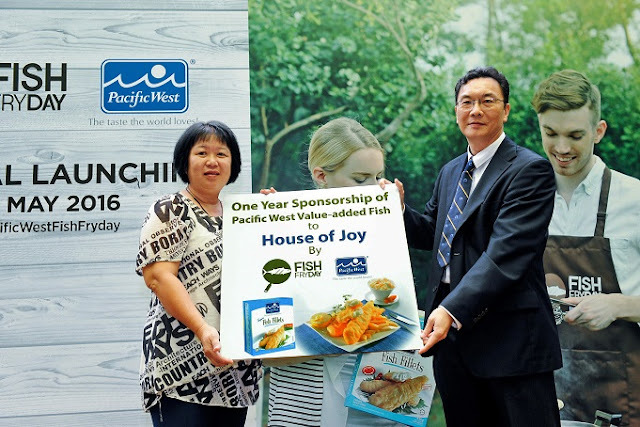 This sponsorship not only introduces the goodness of Pacific West products to the children but also exposes them to the benefits of eating fish in turn teaching them about healthy eating as well as providing quality food as part of their diet. The value of the sponsorship will cover 17,000 meals to these three homes, serving 130 children healthy, delicious fish. 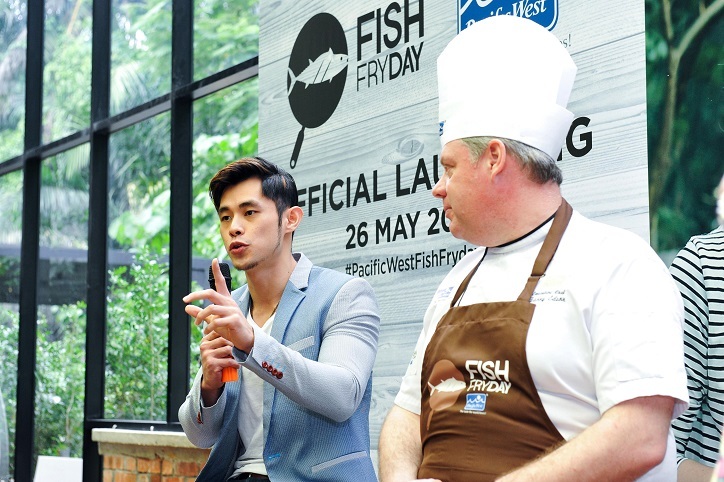 Malaysian fitness model Jordan Yeoh and a few other personalities will also be spreading awareness for Fish Fry Day by sharing tips and cooking ideas on their social media networks using the hashtag #PacificWestFishFryDay during this campaign period. So if you are interested in learning more about the campaign as well as the benefits of eating fish, check out the hashtag for more information, tips, ideas and recipes !!! Pacific West products can be found nationwide in retail stores. For more information on the Fish Fry Day campaign as well as the brand, visit the website at www.pacificwestfoods.com. For media enquiries, kindly contact Paul Loo (卢扬波) at 012-597 7418 / Janey Tan (陈丽英) at 012-476 4989 or our Pacific West Malaysia official facebook page: www.fb.com/pacificwest.my.